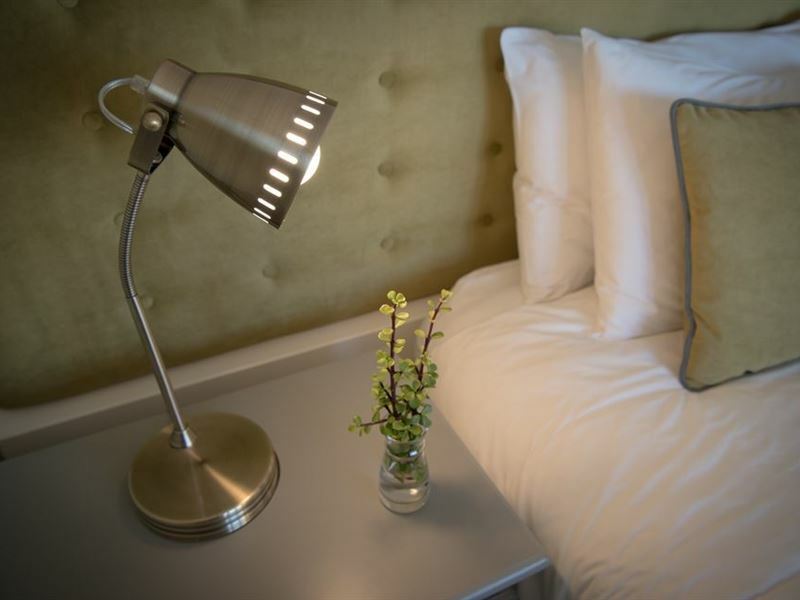 We have six individually styled bedrooms, plus a detached self catering cottage. The three luxury ground floor sea facing rooms allow you to walk straight out to the beach from your private patio. 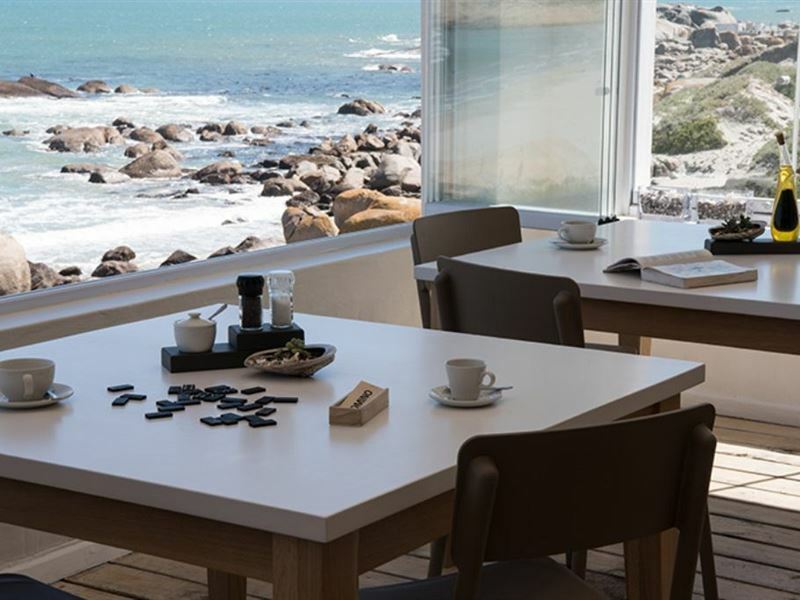 The fourth sea facing room on the upper level has uninterrupted sea views. The court yard room is conveniently located close to the pool and its patio offers partial sea views. 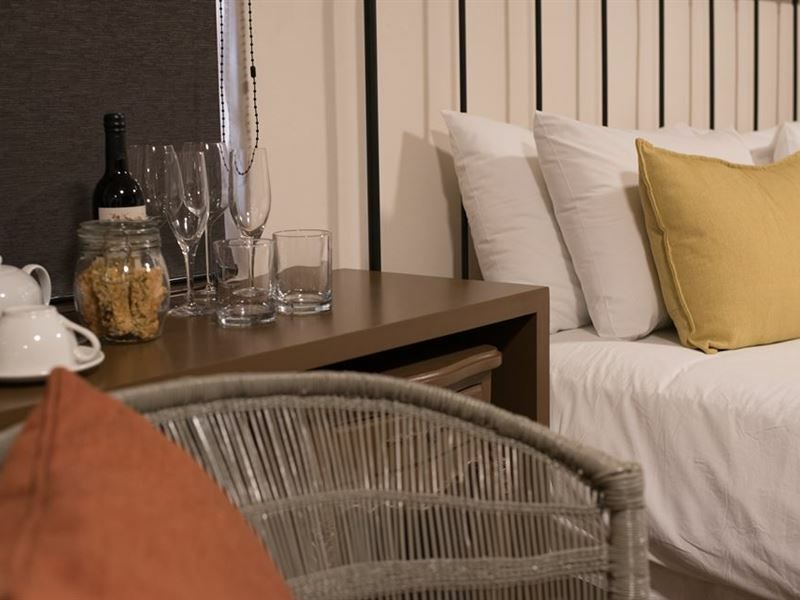 Our upper level classic suite boasts a lounge, kitchenette and private patio. 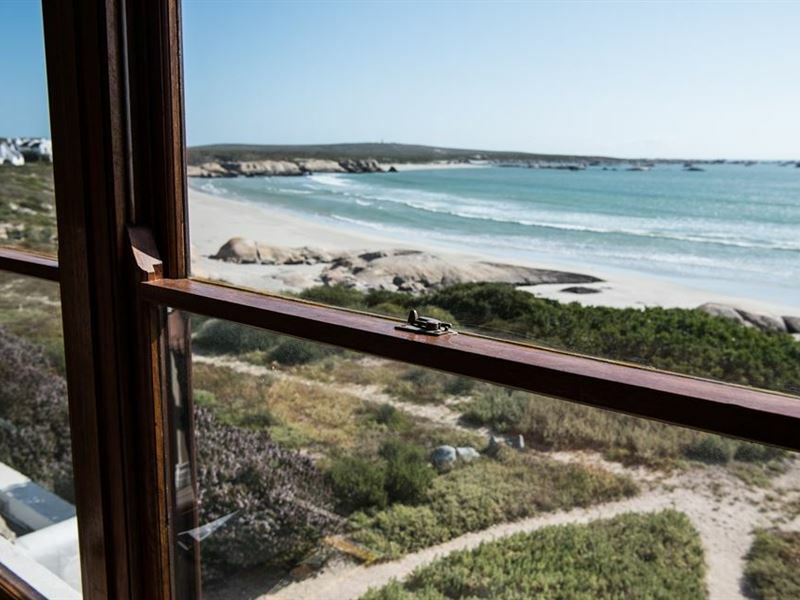 Partial sea views can be enjoyed from the bedroom. Access is via a private exterior staircase.<br />Views of the vast Atlantic can be enjoyed from our communal patio, guest lounge and bar designed for the privacy and comfort of our guests. The unspoilt beauty of the West Coast lies on your doorstep. 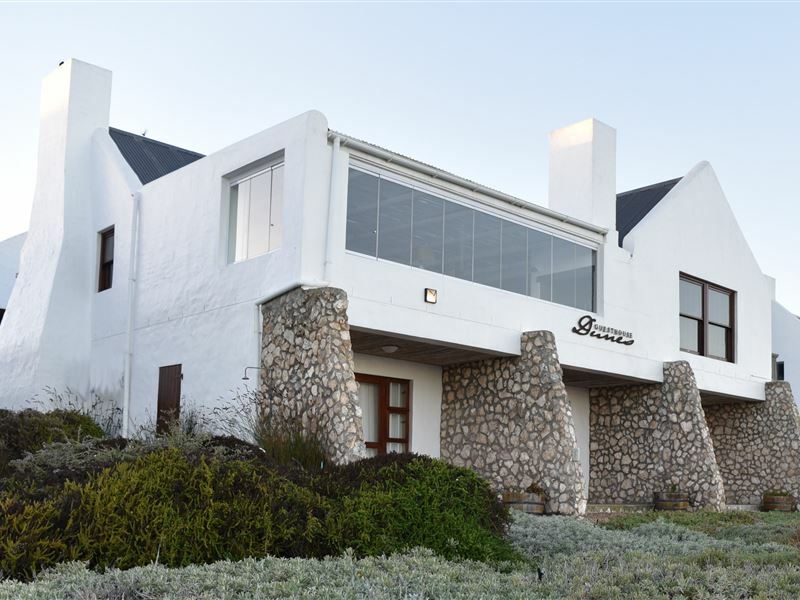 <br />Dune Ridge cottage, a romantic beach retreat for two, is situated 600m away from the main guest house. It has uninterrupted views across Bekbaai and offers all modern touches and amenities. Breakfast options for these guests are available at the guesthouse. "This adorable self catering unit is on a quiet cul de sac. The sea is literally right on your doorstep, with the waves crashing on the big boulders.Everything you need is there, just take own food and drinks. The perfect romantic getaway!" "A wonderful guest house. 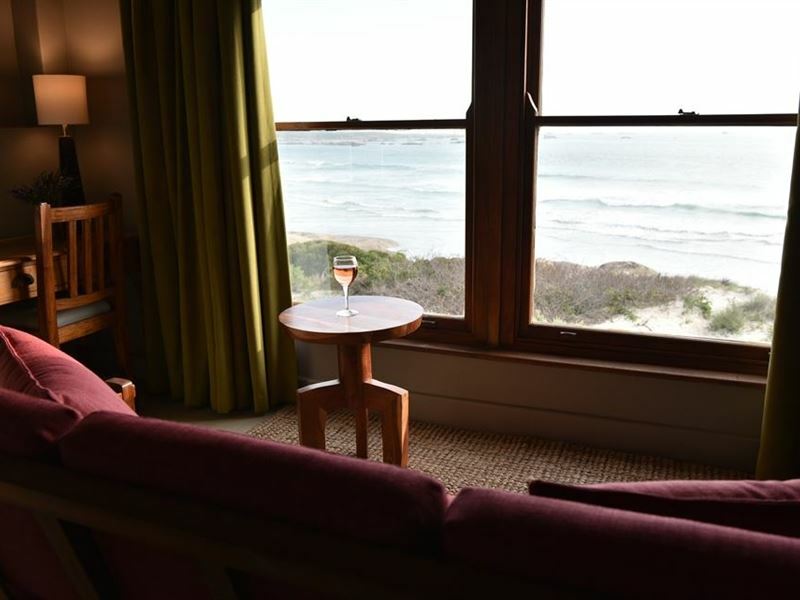 Great staff, great views and great comforting"
"Home from home, with a bang!" "The Red Suite was a perfect setup for my needs. 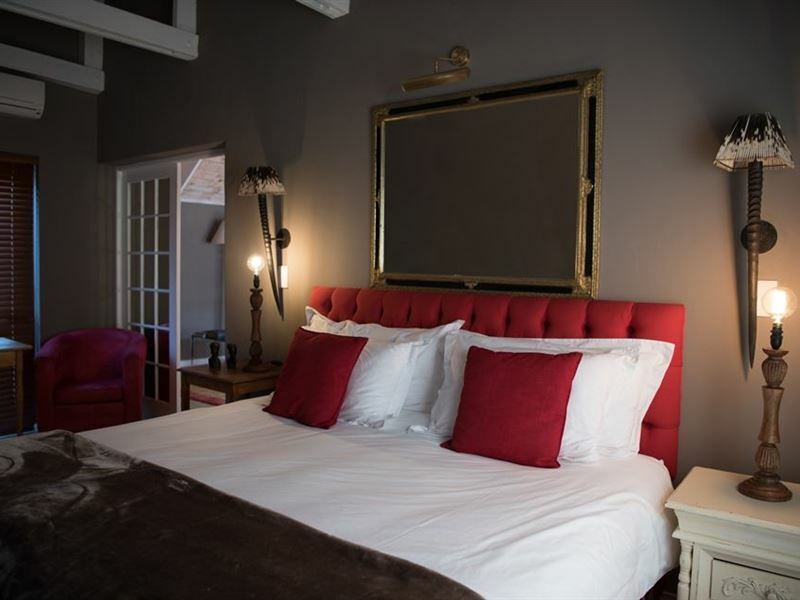 Restful, loved the decor and atmosphere.Would have stayed longer if time allowed!" 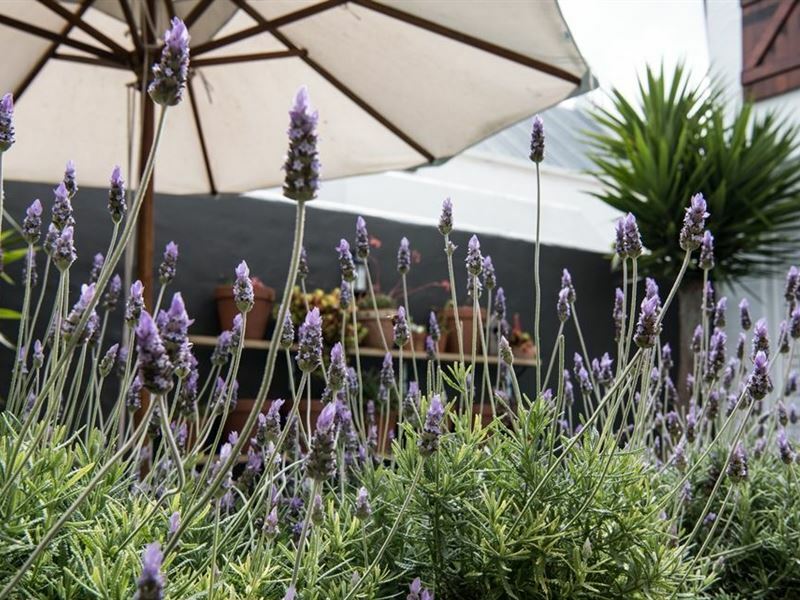 "A really wonderful guesthouse with caring and thoughtful personnel. We will most definitely return!" "An outsatanding hotel for rest and relaxation"
"This is probably my definition of the perfect hotel. 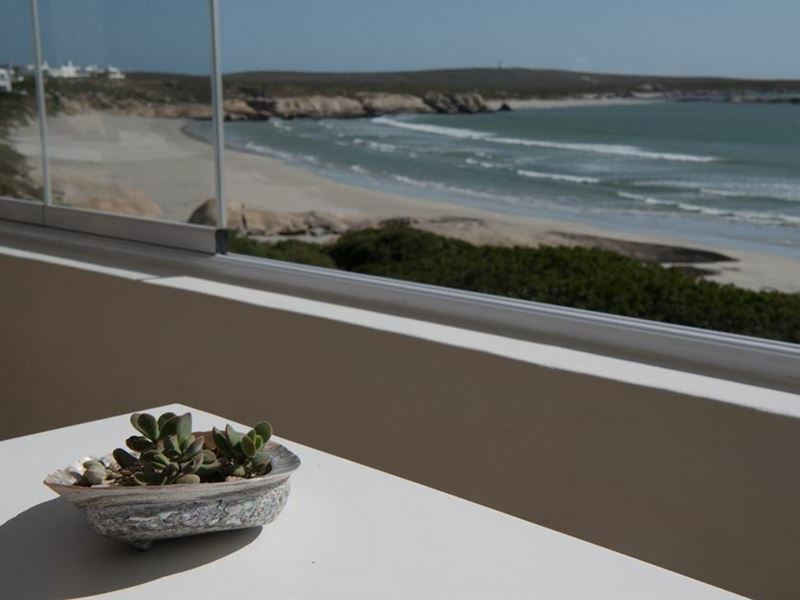 Attentive, personal service, exquisite surroundings, wonderful location and view. I very much hope to return. But be warned - in season I bet theres a lot of competition for Paternoster&apos;s few good restaurants book early!" "Breathtaking setting! Awesome views! Beautifully appointed accommodation. Exceptional hospitality. We will be back often and we can highly recommend it. Thanks Deon & Gavin for sharing your wonderful space with us. You are indeed living your (and half of the population in SA&apos;s) dream and we wish you all the best of luck." "Great hosts, great location - well fitted. Professional and friendly at the same time. Had a lovely time."